Chef Bruce Kalman and Marie Petulla partnered to open UNION, a 50-seat restaurant and bar featuring a deeply personal, seasonally Californian interpretation of Northern Italian cuisine. Bruce brings his slow and soulful approach to fresh, local ingredients to create a rustic yet elegant. They have created an intimate neighborhood restaurant that brings the farmer and guest together, to celebrate the beauty of simplicity food and the delight of a meal with friends. Incredible service & food!! Every dish was thoroughly enjoyed & out of town business guests had a great night! 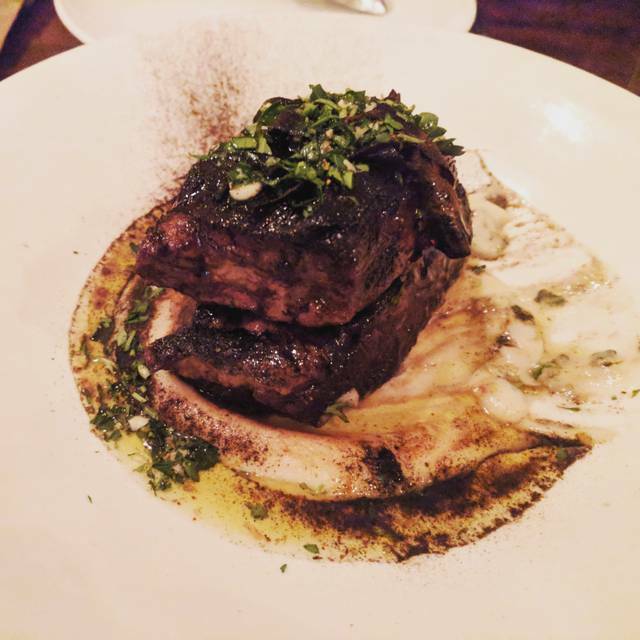 Amazing food and impeccable service! We arrived 20 mins early for our reservation, and instead of being told to wait, we were given the option to take the chef's table at the bar. The staff highly recommended the table so we took it. The table was perfect, right next to the kitchen. We received complimentary items (food and drinks) to sample. 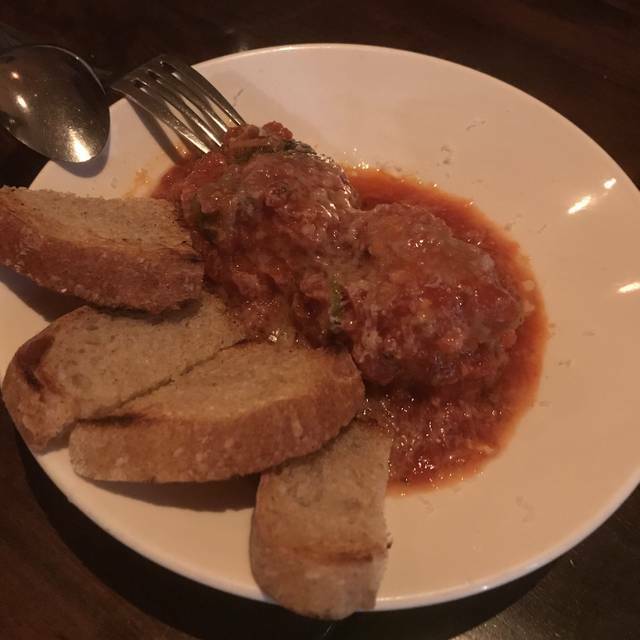 For our actual meal, we had the meatballs, the burrata, and the beets salad. Each dish was delicious, with every single dish with it's distinct flavor. The meatballs were my favorite and I'd have to say only my mom's homemade meatballs are comparable. Overall, an amazing experience! Having driven from down town to Pasadena during rush hour, I'd say it was worth it! One of my FAVORITE restaurants!! The food and service are second to none. Just wish they would buy out their neighbor and tear the wall down to enlarge their location. Way too small. First time here and it will not be the last! Everything was delicious... and I mean everything! Excellent service, a bit spartan and tight for the price. They often run out of Porshetta but I was lucky to get the last one. It was excellent if not greasy but it is pork after all. 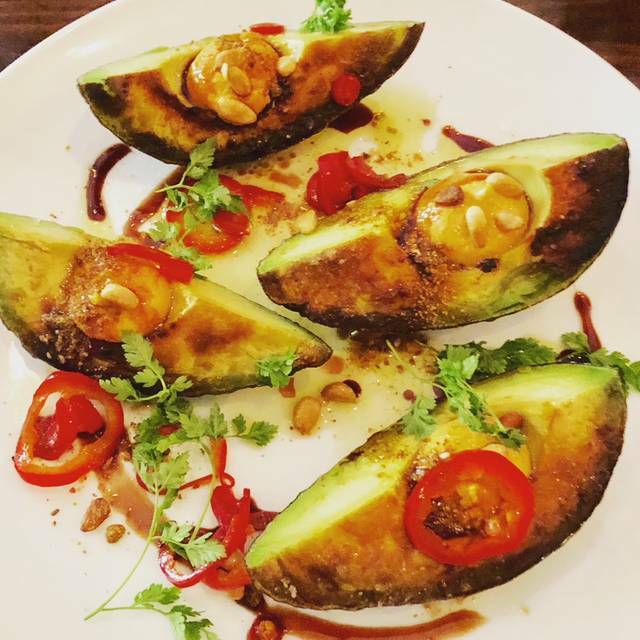 The good: food is good, not life changing, probably one of the better restaurants in Pasadena. The bad: right on the cusp of being over priced, but you should try it for yourself. ❤️❤️❤️the best food and service!!!! First time there with friends, and we loved everything. Food was amazing!! I can’t wait to visit Pasadena and dine there again. The food was good, but the place is super small and the waiters barely can walk around (not their fault). It was so incredibly loud due to people trying to talk over each other, again not the staff’s fault. However, the price for each plate was not worth what we got. I wouldn’t recommend this place. The food is great. The cramped quarters, the noise, and the lackadaisical service subtract so much from what seems like a lot of thoughtful attention being paid to ingredients and preparation. I had been looking forward to trying the olive oil cake but the dining experience was so terrible that we couldn’t wait to get out. Such a waste of money. Great meal as experienced before, same superb standard. Our server was great and knowledgeable about the food and wine choices. Never disappoints. Every single bite of everything we ordered was delicious. The food was filling but also light - proved that you don’t have to douse something in sauce to give it flavor. Absolutely phenomenal. Lived up to the hype and beyond. Portions are on the small side but perfect for us. We had 7 dishes among 3 of us. And our server was delightful. Highly recommend! This restaurant is the best top to bottom food and customer service. Doesn’t get any better. Everytime I go to Union Im never disappointed. Spectacular experience, from the food to the service, and there's a great local vibe. Great pasta and appetizers. I was hoping better from the pork/pork belly. I am sure it is great for some, but not our cup of tea. The rabbit and spinach pasta were amazing. Had a nice time. The dishes we had we from good to excellent. The service was fine. One of the best meals I've had in a while. Union does not disappoint! This is any everyday dining place with a special occasion price tag. The food is quite good with an interesting menu. However I was disappointed when my caccio e pepe pasta was served cold. 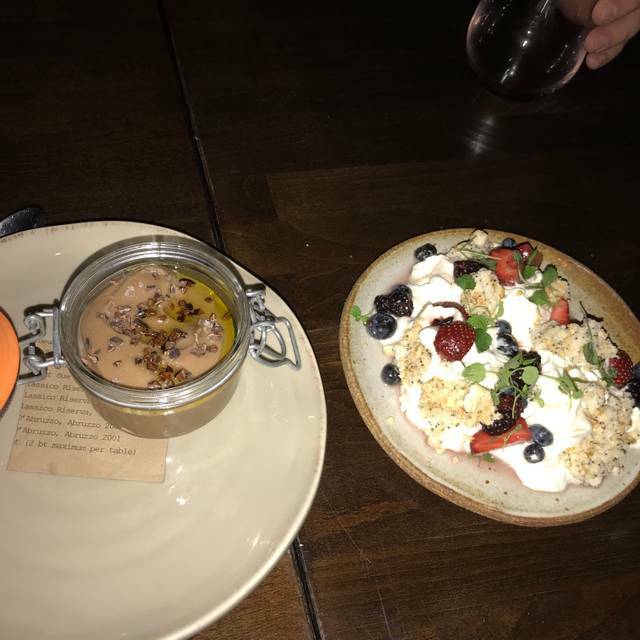 They brought a dessert to make up for it, but it wasn’t good at all. It was some kind of pudding with kettle corn on top. Not a good combination and This is not a dessert place. I love the great balance of healthy/delicious food here. The staff are friendly and very helpful. This was not my first visit to Union, nor will it be my last. The food is always so delicious. 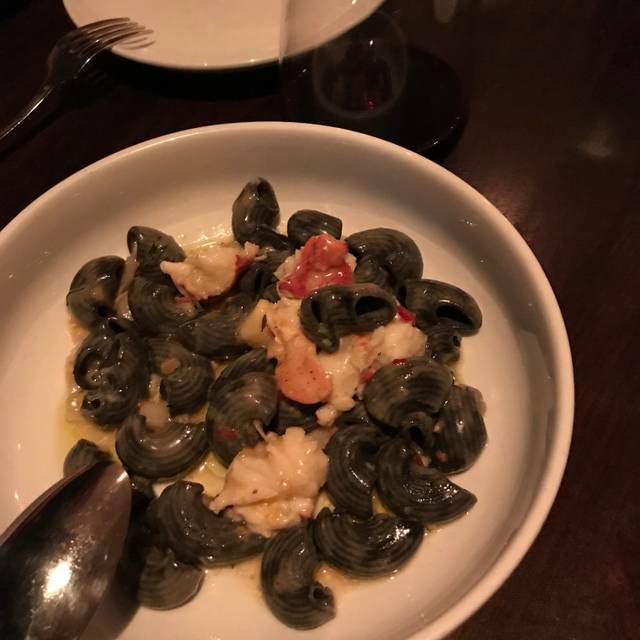 The octopus 🐙 is cooked to perfection and the squid 🦑 ink pasta is outstanding. All of the their dishes are amazing. The staff is very knowledgeable and helpful. Great 👍🏿 place. One thing I like about the restaurant is that they frequently update their menu. The last time I went there they had several unique dishes that I have not seen before. For example, I had a beet salad with a side garnish of a puree made from parsley and mint, and as a main dish, what they call Lamb T-Bone Steak, which had, as a side dish a pea sformato, a kind of pea custard, that was really good. We started with the excellent burrata crostini and perfectly dressed arugula salad followed by lamb tortelli and the porcetta, for which Union is known. Curiously the porcetta was the only dish that didn't quite live up to expectations. Parts were a bit chewy and the serving wasn't hot enough but the balsamic reduction sauce and salsa verde were perfect. Might have been because the marvelously attentive and knowledgeable server snagged us the last order of porcetta. He also recommended an extraordinary 2013 Tuscan sangiovese, suggested the lovely zabaglione torte w. raspberries for dessert and brought us complementary glasses of moscato to close out the meal. The quarters are a bit cramped and rather noisy but the location, around the corner from our hotel, was perfect. All in all, a wonderful place for my birthday dinner. Once our appetizer was delivered to our table, it took 45 minutes to receive our pasta dinners. The papperdelle past was wonderful, but the lamb meat sauce was so salty, I could only eat about 1/2 of the pasta. Really delicious food, but portions are a little small. Since the concept is family style, if your party orders individual entrees, they aren’t served at the same time. Good food and service. Ambiance could do a little uplifting. A revisit to Union and was so very delicious. The octopus was perfectly done and beautifully presented. A special pork dish was excellent. Pasta dishes superb. The olive oil cake is an excellent dessert. Wait staff all friendly. Perfect wine service. Will definitely return. Wonderful Italian/ new American restaurant in Pasadena, definitely a gem of the neighborhood. Its restaurant front is very low key, could have easily missed it even when you walk along that block of Union couple times a day. The food is simply outstanding, they did a great job elevating the flavors of simple and fresh ingredients. The burrata is a must have for me, it's very creamy and rich and is unlike any other burrata I've had before. The ambiance is also dynamic but also not hectic. It is a great environment for dinner with a few friends. Overall, it's always a blast having dinner at Union. We have been to the Union for about half a dozen times. Every time our son visited us from Boston, we always make effort to have dinner at the Union. We have never been disappointed! We always enjoyed every unique dish they presented. 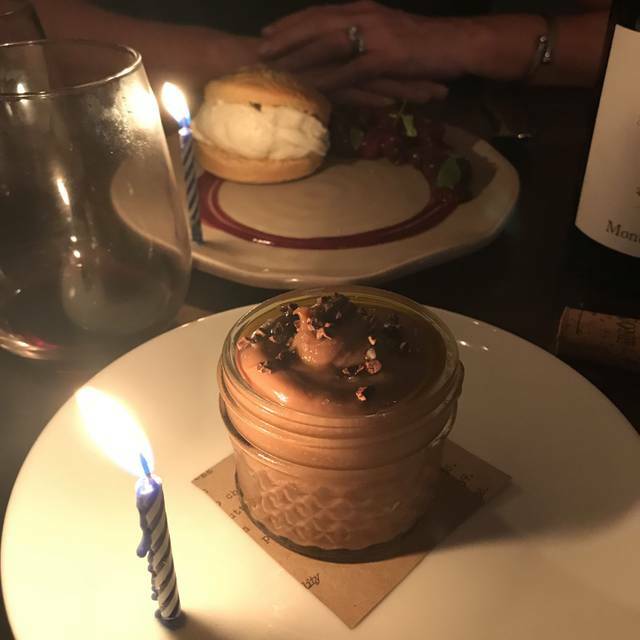 Certainly this will not be our last time, we will probably continue to go there as long as they present with delicious dishes with warm, friendly services. Highly recommended. Interesting and well balanced menu. Very good service. Wine list is out of reach for most. $9 for bread. Not a great value, but the food is delicious! 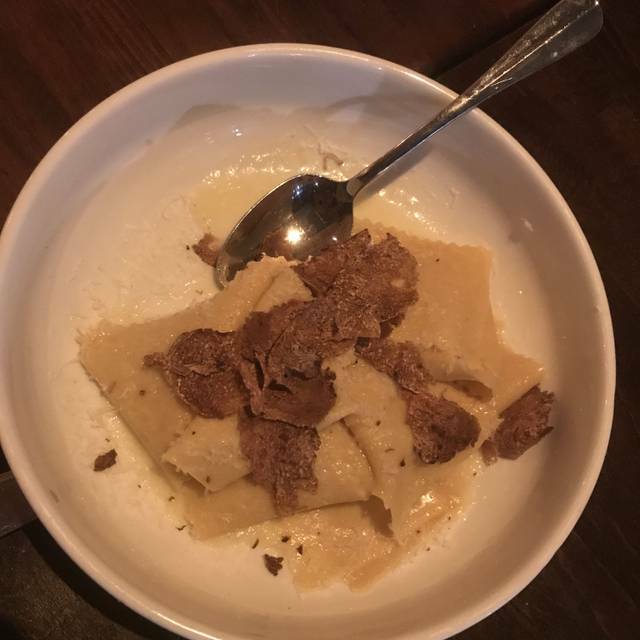 Such good pasta and thoughtful dishes. I suggest going on Spaghetti and meatball Monday! The three course pasta meals and the meat balls dishes we ordered were out of this world. The olive cake a must tried. All ingredients were unbelievable fresh! My husband and I decided to make a point of going there at least once month. Chef was amazing, came out and took all the orders, or at least I think that was the chef as he seemed very knowledgeable about all the products, etc. Great service, very personable and enthusiastic guy. Caccio pepe was ridiculous. Qual dish not bad. We got two other pasta dishes so was quite heavy, but nothing disappointed. 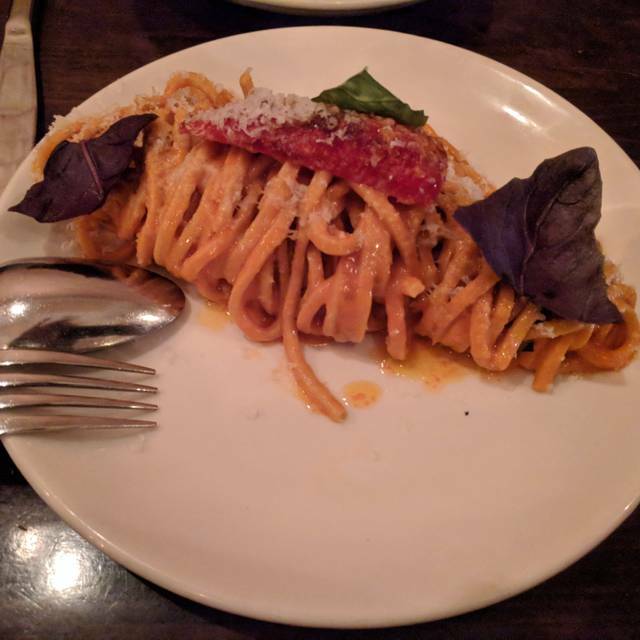 We still love our Celestino for personalized menu and wine list, and Terroni for our go to dishes, but when we don't want to drive too far and just want a quick pasta fix this will be our new craving. Always a great time. Brought a friend from out of town and she was amazed. These guys do everything right. New dishes and old standards. Francis, Flower, Erica and entire staff took care of us. Chris and kitchen crew amaze how they can do what they do in that space. We have been here a few times and it’s always outstanding. The pork meatballs are a must! 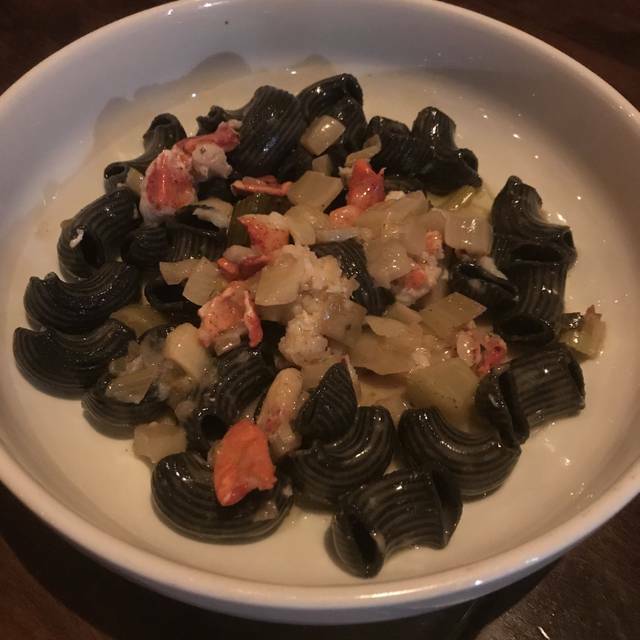 All the pastas are wonderful and we usually have one of the bruschetta options or a salad. We never have room for dessert, but other people rave about them.